Whole Foods turkeys supplier Diestel Ranch raises birds in horrible factory conditions, advocacy group alleges. 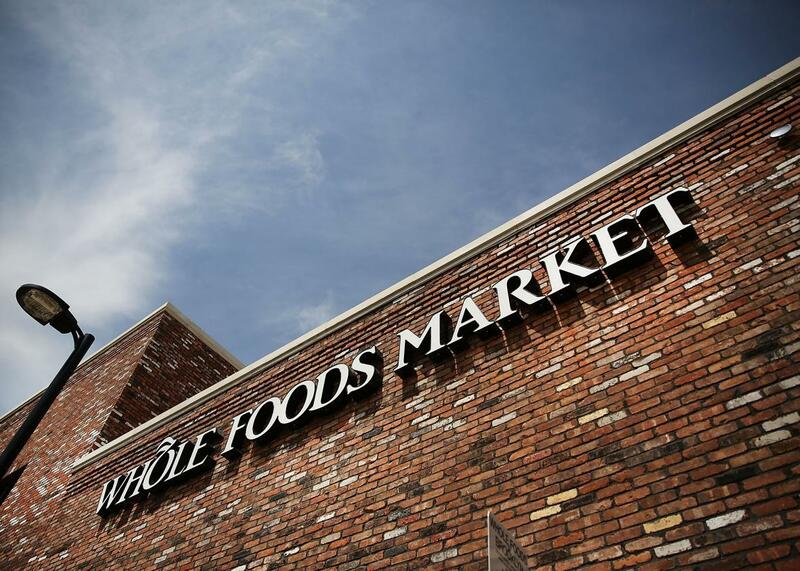 Whole Foods wants to sell animal products that meet high standards. Do they always? But a recent undercover investigation by the animal advocacy group Direct Action Everywhere tells a more complicated story. Located in Sonora, California, Diestel’s showcase farm gives every appearance of being a model operation. According to its brochure, as well as videos on the company’s website, healthy-looking turkeys roam shaded pastures in a natural setting. Yet, as investigators discovered, the birds roaming in Sonora may be at best a token sampling of Diestel’s overall turkey population. The main source of Diestel’s turkey output appears to be an industrial operation with 26 barns (housing about 10,000 birds each) located 3.5 miles down the highway in Jamestown, California. * (This location earned a 3 from the Global Animal Partnership.) Direct Action investigators became suspicious in part because of a 2013 water discharge report—something the regional water board filed in response to complaints that toxic waste from a Diestel facility was making its way into local drinking water. The report also revealed that the Sonora farm produced about 1 percent of Diestel’s turkeys. So something didn’t add up. Visits to Diestel’s Jamestown facility—conducted by Direct Action investigators over nine months (they just “walked right in”)—revealed horrific conditions, even by the standards of industrial agriculture. The group saw turkeys that had been jammed into overcrowded barns, trapped in piles of feces, and afflicted with swollen eyes and open sores. Technically, the birds were allowed outdoor access, but investigators said they saw only one bird outside over the course of the nine-month investigation—an escaped turkey at that. In some cases investigators found dead turkeys strewn across the barn floor. In others, they were overwhelmed by noxious odors and had to leave. Company records (posted on the side of the barn) showed that up to 7 percent of the birds died in a single week. All of which is to say: Diestel Turkey Ranch is a factory farm. When asked how Global Animal Partnership certifiers could have possibly failed to understand that the showcase farm did not represent the company’s standard model of production, Wayne Hsiung, a former Northwestern University law professor who founded Direct Action Everywhere, explained that the Global Animal Partnership itself “has a tiny staff … claiming to supervise the lives of 300 million animals.” (According to a 2014 tax form, the group pays just $96,711 in salaries and wages, and the bulk of its revenue for that year came from a $300,000 contribution from Whole Foods.) Whole Foods has responded to Direct Action Everywhere’s video footage of the abuse, writing, “Whole Foods Market is proud to stand behind the many hard working farmers such as the Diestel family, who are committed to maintaining a high level of animal welfare.” It noted that an “expert team” who visited the farm “within hours of the video being brought to our attention” declared the conditions at Jamestown to be “not as they were portrayed in the video.” Diestel also dismissed the allegations to the Wall Street Journal, saying that the video only focuses on a small window of time and that the Turkey flock is healthy. Those responses notwithstanding, consumers worried about the treatment of farm animals should be more than a little disturbed by Direct Action Everywhere’s report. In an era in which we are increasingly asking to know where food comes from, the documented conditions at Diestel remind us of a reality easily overlooked: The task of seeking transparency goes well beyond monitoring conditions at the industrial behemoths. Small, less-industrialized family farms that stress welfare and sustainability should be considered equally suspect, and oversight should be equally rigorous for every kind of farm. The reason for this is rooted in a kind of paradox. As consumers become increasingly knowledgeable about the terrible circumstances on factory farms, we’ve come to demand that animal products be sourced from smaller ones—farms that fit our mythologized notion of preindustrial agriculture. As the rise of a powerful food movement confirms, we are, appropriately enough, willing to pay more to support such alternatives to the factory farm. For good reasons, these developments are to be celebrated. They point the way to a healthier food system. But producing humane alternatives comes with unavoidable limitations. When corporations such as Whole Foods and Chipotle—to name the most notable supporters of alternative agriculture—attempt to meet consumer demand for responsibly sourced goods, they run into a frustrating economic reality, one that nobody seems to want to discuss: Compassion for animals—that is, practicing true welfare—makes it impossible to raise them en masse. It’s a hard fact to swallow, but the humane treatment of farm animals is not only more expensive than the industrial option, it’s a substantially more time-consuming endeavor. To the extent that a free-roaming bird fattens on its own terms, it deviates from the rigid production schedule dictated by a large company like Whole Foods. Imagine hiring an independent seamstress working from home to manufacture the uniforms for an army in a week’s time. That’s what Whole Foods and other companies seeking humane animal products do when they knock on the small farmer’s door and ask for an industrial quantity of birds to be delivered for the holidays. So while the Diestel revelation is disturbing, it shouldn’t be surprising. A farm can’t produce upwards of 2 million turkeys—as the Diestal ranch does—to fulfill (in part) the demands of a major retailer wanting birds that were raised according to the highest welfare standards. Doing that, as the Diestel case shows, requires a factory. The takeaway from this incident might be unpalatable but, when it comes to Thanksgiving dinner, concerned consumers have a hard choice to make: forget about animal welfare or, while menu planning, forget about the turkey. *Correction, Nov. 24, 2015: This post originally misstated the distance between Sonora and Jamestown, California. They are separated by 3.5 miles, not 45 miles.